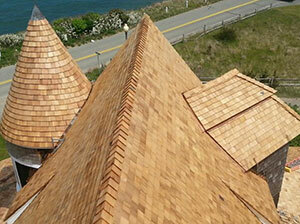 Associate Roofing on Martha’s Vineyard is a professional and experienced Vineyard Roofer. We have been serving the needs of commercial roofing and residential roofing clients since 1932. For over half a century Associate Roofing has exemplified the finest tradition of American family business – a roofing contractor who can always be counted on in terms of product knowledge, craftsmanship, efficiency and follow through. For three generations the Lynch family has believed in educating all customers on roof products and procedural options to ensure a satisfied customer and a job well done. Associate Roofing is a full service roofing contractor licensed and insured beyond industry standards. Our Martha’s Vineyard roofing company holds memberships in Northeast Roofing Contractors Association as well as the National Roofing Contractors Association and the Better Business Bureau. The training and experience held by all the professional craftsmen of Associate Roofing enables them to install all roofing types: flat roofs (rubber membrane or tar and gravel roofs), shingle roofs, copper roofs, slate roofs, clay roof tile, cedar roofs, etc. In addition to installation of new roofing systems, Associate Roofing has all the expertise necessary to tackle the difficult problems that condominium associations and commercial property managers routinely face when dealing with deteriorating or poorly installed roofing systems. Associate Roofing has the know how to help commercial roof clients pursue warranty claims for failing fiberglass roof shingles from the 1980’s, as well as problems with built up roofing, single ply roof systems, plywood delamination and roof ventilation. All of these situations and more are routinely seen and dealt with effectively. 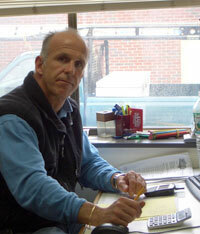 Michael has over 30 years of experience in all aspect of roofing, waterproof roofing and sheet metal roof. In addition to the knowledge received from his father and grandfather, Michael works hard to keep up emerging roof products and new, high tech roof materials. He is regarded as a roof expert in all facets of both residential roofs, commercial roofing and roof waterproofing application. His expertise includes shingle roofing (asphalt & cedar roof), slate roof work and all built up or one ply rubber roof systems and modified butimens. HIC License# 104669. 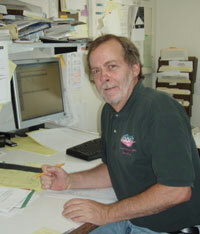 Paul has over 25 years of experience in all types of roofing. Paul came to be Michael’s right hand man and subscribes to the belief in family pride and customer service. 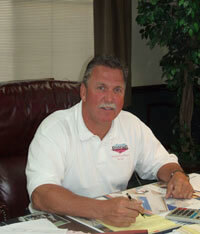 His specialty is residential roof sales and project management, and he is a member of the CertainTeed Advisory Board. Spending his high school and college summer’s working with Associate Roofing, Inc. Nick brings hands on experience to the roofing company. 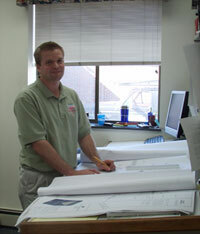 He is now an essential member of the Associate Roofing team working as an roof estimator and project manager. He has previous experience as a manager for 3 years working at a Construction Co. and has had his Construction Supervisors License for the past 5 years. License #84713.